Upon receiving your shipment, please be sure to inspect for damage. Any product received damaged should be noted on the delivery slip and signed by the driver. A copy should then be faxed to us at 828-358-4159 and a claim must be submitted immediately by the customer to the courier. The customer is responsible for checking their delivered order immediately for any shortages or discrepancies and is responsible for contacting Cabinet Door World within three days to report these discrepancies. 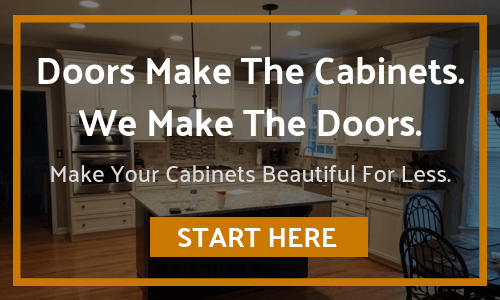 Cabinet Door World does not accept returns on custom doors, drawer fronts, drawer boxes, etc, due to customer errors (i.e. you get exactly what was ordered). In the event that there is damage to your order during shipping, please complete a proper damage claim (see above) and we will be in touch with you ASAP. Please remember that we do not accept returns on custom sized doors, drawer fronts, drawer boxes, etc, due to the fact that they cannot be re-sold and are built specifically for you. Claims on any order or material discrepancies must be made prior to HINGING, HANGING, or FINISHING. Damaged products will not be returned for exchange without prior written approval. Products may need to be returned in their original condition to the offices of Cabinet Door World for inspection. Any item that has been hinged, hung, or finished, shows signs of exposure to moisture, heat or sun, shows signs of job site neglect or is modified in any way shall be deemed accepted by the buyer and voids any warranty. If it is deemed to be a manufacturing error, shipping charges will be reimbursed.